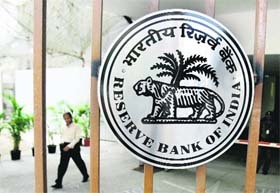 Home and auto loan EMIs will become cheaper after a three-year wait as the Reserve Bank of India (RBI) carried out a surprisingly higher interest rate cut of 50 basis points to give a boost to faltering growth in the economy. The Congress dream of winning Delhi civic polls was shattered as the BJP won all three Municipal Corporations for the second consecutive time. The saffron party made a clean sweep in East, North and South winning 138 seats out of the 272. After Russia�s Sistema and Norway�s Telenor, British telecom giant Vodafone today became the third of the foreign telecom companies operating in the country to serve a legal notice on the Government of India. Punjab�s attempts to scuttle the move of a human rights organisation to challenge IPS officer Sumedh Singh Saini�s appointment as the Director General of Police today failed to find favour with the Punjab and Haryana High Court. The Maharashtra government has come in for criticism from the Comptroller & Auditor General (CAG) for the way it allowed the setting up of the Lavasa hill station project near Pune. The hill station is being built by the Hindustan Construction Company (HCC). The United States has sought India�s permission to undertake an exercise in this country to locate the remains of 94 of its personnel who lost their lives in plane crashes during the World War II. The darkness after Sunday�s tragedy at Shital Fibres lasted 32 hours for yarn spinner Manoj Bhagat, who finally saw the light of day at 7.30 am today.